My seatmate from our PHILTOA media van excitedly told me how magnificent the view was from their room window as we tarried back down to Venezia Hotel’s swanky lobby. Dang, I was booked on the wrong side of the hotel and all I can see from our floor to ceiling sliding doors were treetops and the colorful residential roofs of Legazpi City. 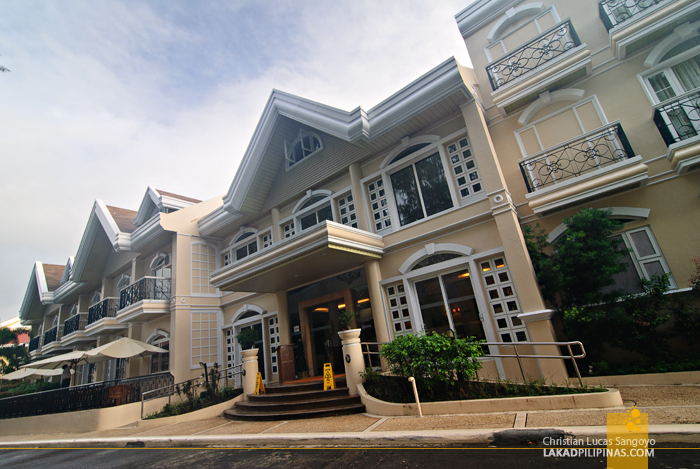 Venezia Hotel’s facade is quite different from an ordinary fancy hotel’s architecture. In fact, it doesn’t look like a hotel at all. 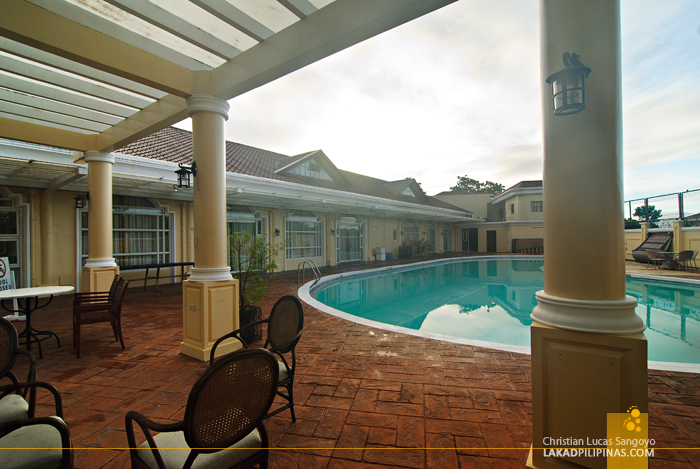 At first glance, I thought we’d be staying in a complex of townhouses inside a subdivision. 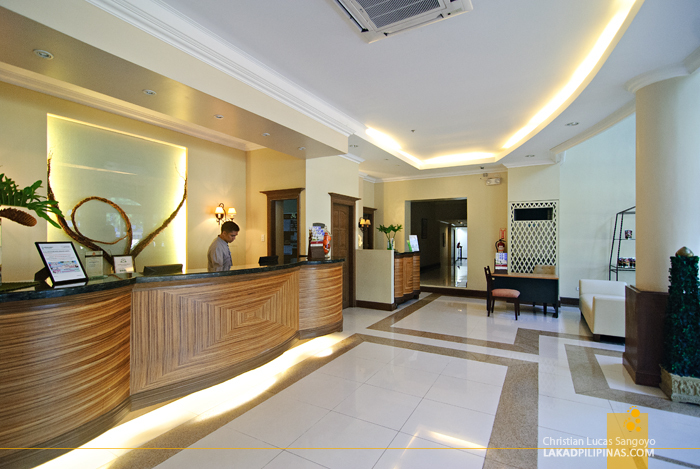 And yes, the hotel is built inside a subdivision in Legazpi City. The impression of a townhouse disappears once you step inside Venezia’s lobby. It’s clean and modern lines breaks the illusion of its facade and finally presents visitors with a space typical with posh hotels. 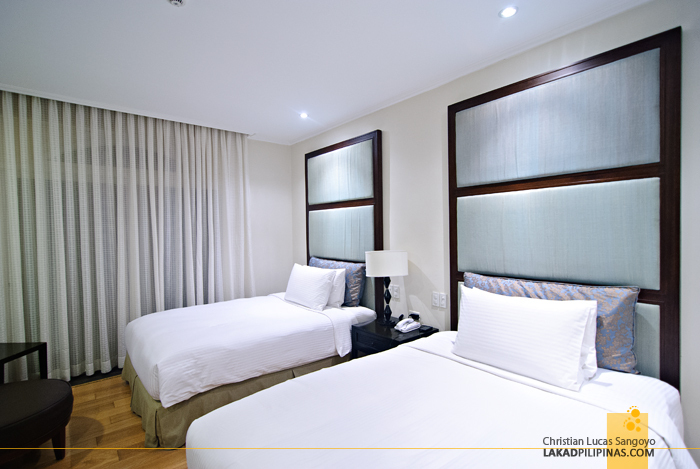 With our keycards ready, we headed to our room and were greeted by two soft beds fitted with a pair of soft fluffy pillows. 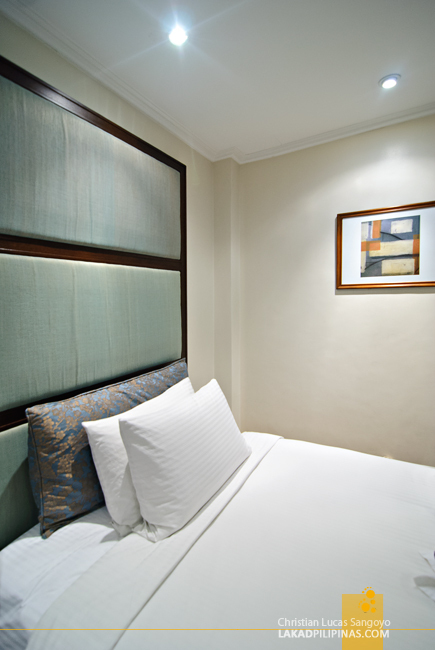 Not bad, considering we just came from Legazpi City’s grandest hotel, The Oriental, the night before and comparisons are of course inevitable. 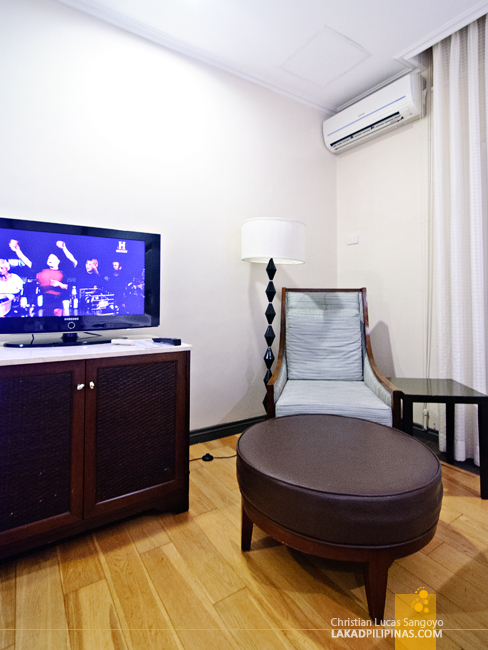 We got the Junior Suite and it’s fitted with a 32” screen cable TV, a safe, mini-bar, fridge and most importantly; free Wi-Fi Internet connection. 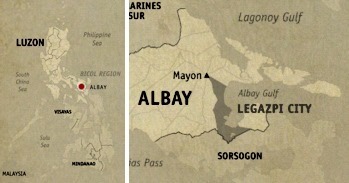 Running around the provinces of Albay and Sorsogon on a van without Internet access makes us really giddy whenever our phones get a whiff of a Wi-Fi connection. 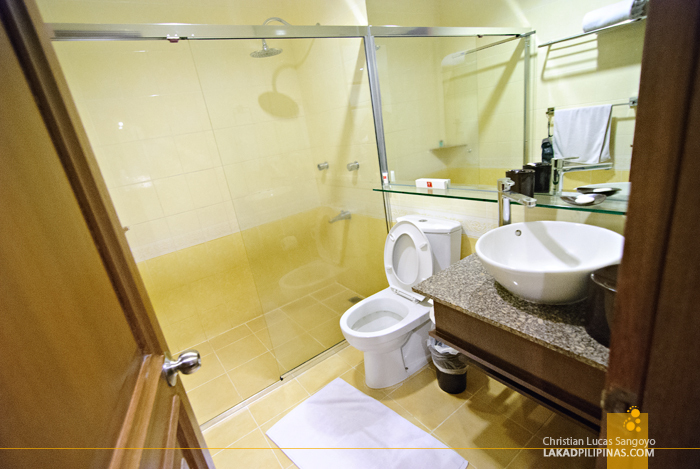 Venezia Hotel’s toilet and bath is also a winner. It’s clean, has a hair dryer (for the gals) and a rain-type shower head. I love rain-type shower heads! That alone makes a bathroom a winner for me, lol. 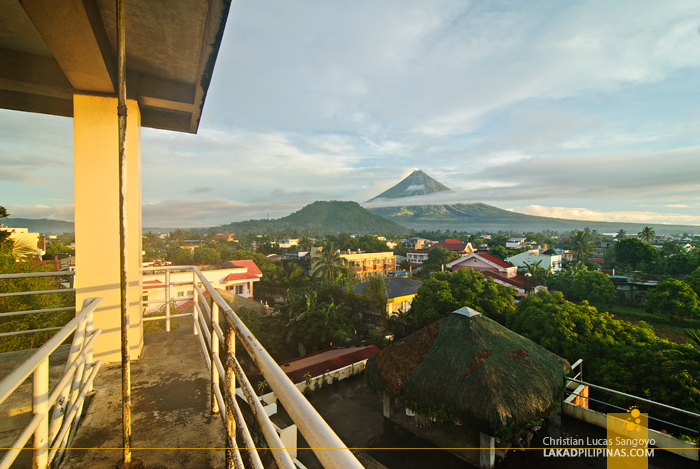 Sunrise came the next day and Mayon was at the other side of our hotel room. 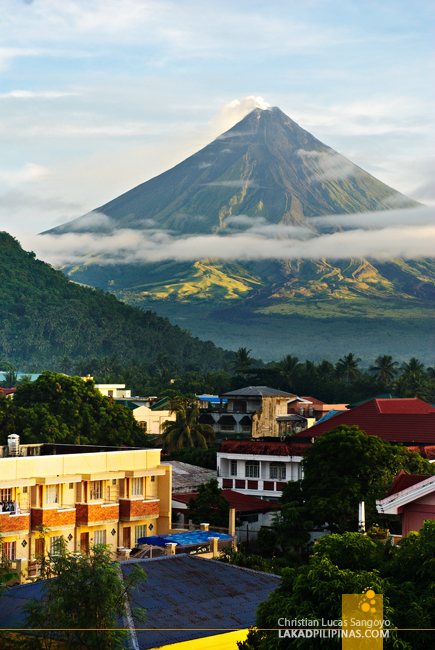 Not wanting to waste a chance to photograph Bicol’s iconic volcano, I woke up very early and shivered at the crisp weather outside the hotel. I needed a vantage for a Mayon sunrise. Almost desperate for a good location to shoot, I walked further inside the village and found a water tower, which is apparently still part of Venezia Hotel. I looked around for someone to get permissions with but no one seemed in sight. Its open gate all but invited me inside and after some leg-pumping action across some flights of stairs; I got my Mayon Sunrise. The sun was already up above the horizon and the colors of dawn was all gone. 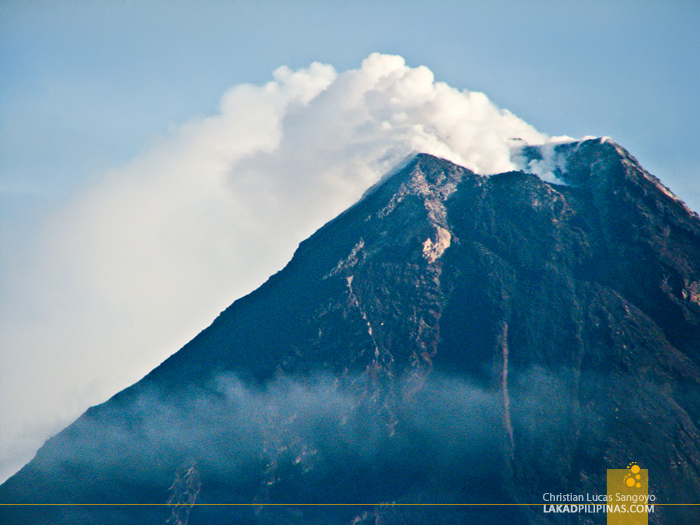 But it was still a mesmerizing sight to see the great Mayon; puffing white mists from its huge crater, towering above and beyond Legazpi City, and made more beautiful by the light of the early morning sunshine. On the way back to the hotel, I passed by Venezia Hotel’s pool area which is a few meters away from the actual hotel. I wouldn’t have known about it at all if I haven’t gone for a morning walk. With my landscape cravings satiated, it was time to satiate my other hunger; a literal rumbling in my tummy that is. 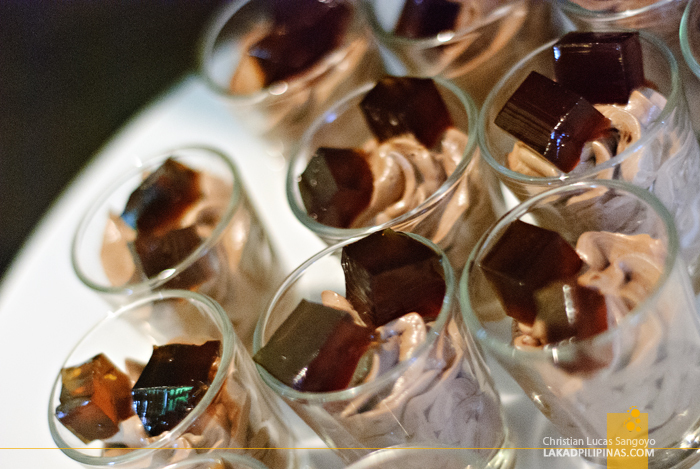 It was time for breakfast and Venezia Hotel has a free buffet fare for their guests. As if to prove how crazy early I woke to shoot Mayon, I was the first guest at the hotel restaurant for breakfast. 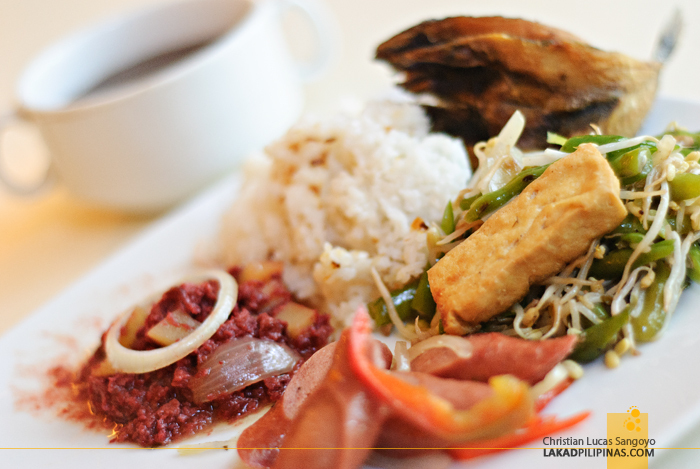 Fares include crispy dangits, corned beef, sausages and sautéed bean sprouts with tofu. I loved everything but I’m kinda looking for a serving of Bicol Express. But I guess it’s really too early for that, so I made do with their spicy omelette mix. 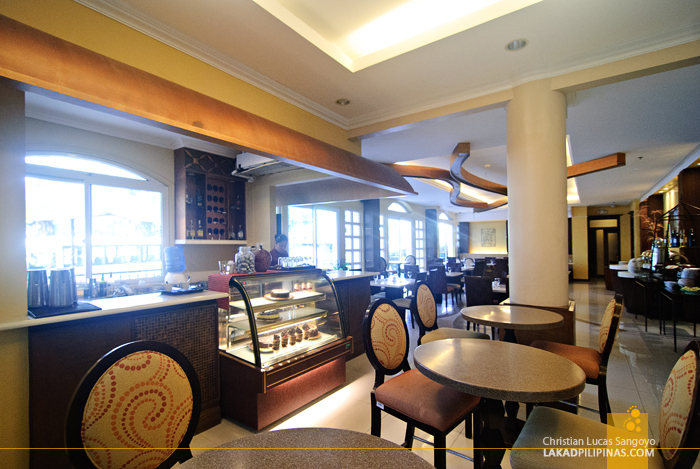 Venezia Hotel may not compete as the grandest hotel in Legazpi City but it sure has its own boutique charms. Like its location inside a subdivision and its residence-like facade, I guess it tries to incorporate a homey vibe with hotel conveniences into one compact package. 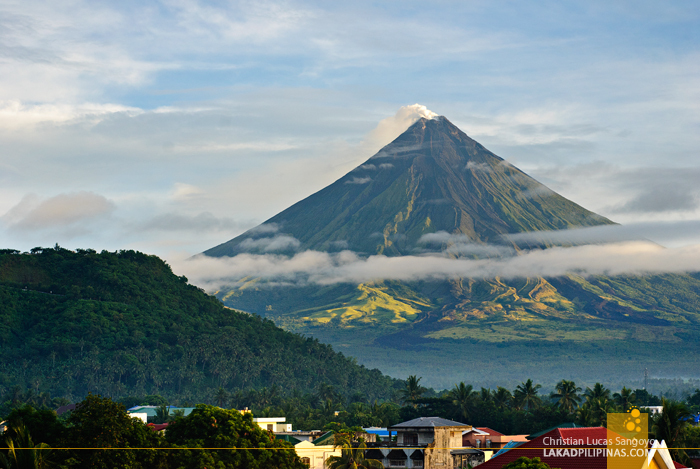 And let’s not forget the view too; just don’t forget to book on Mayon’s side, and you’re all set. GPS Coordinates: +13° 9' 6.07", +123° 44' 11.46"